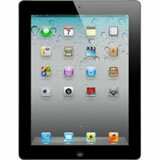 The iPad 2 offers a set of cameras for FaceTime and HD video recording. The ground-breaking tablet runs from a dual-core A5 chip. Apart from being thinner and lighter than the original it also offers access to a massive number of vide, on-demand and catch-up TV services. Only downside is that flash is not available so some video is unavailable.